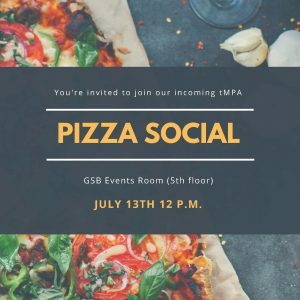 Did someone say free pizza?! 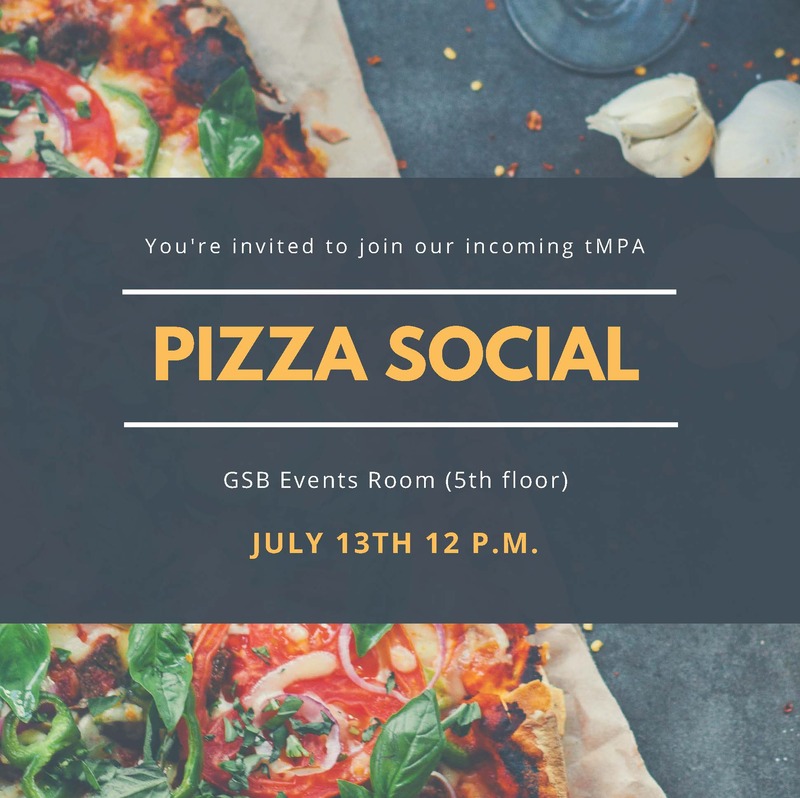 The tMPA Welcome Pizza Social will give you an opportunity to mingle with your fellow classmates, the MPA staff, and your summer professors before classes begin on July 16. Even if you plan to begin courses in the fall, we still would love for you to attend! Please RSVP if you plan on attending. When: July 13, 2018 from 12 – 1:30 p.m. Faculty: We encourage any and all faculty to join us! 5Ys & tMPAs: We’re sure incoming students would like to meet you and hear about your experiences in the program. Please join us!